We had the chance to review two individual units from Moving Beyond the Page. 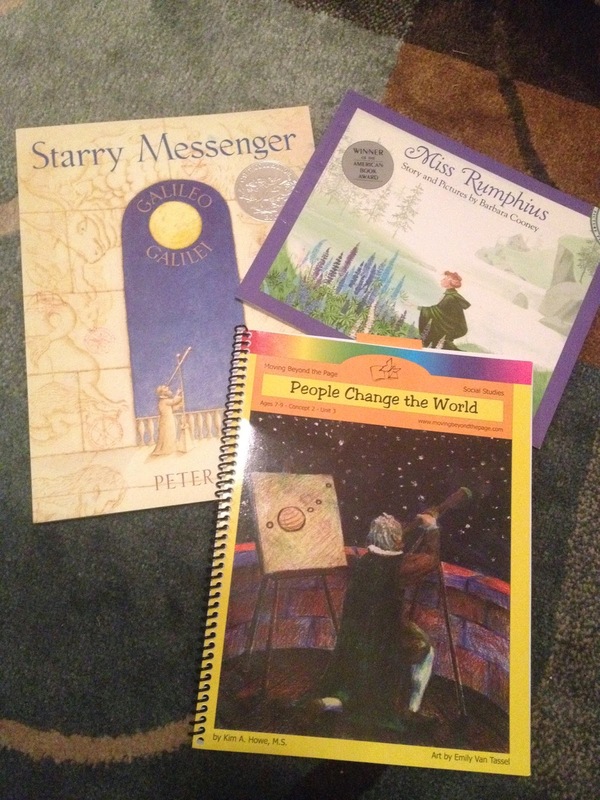 We received the online version of Language Arts Package – American Heroes and the hard copy of Social Studies Package – People Change the World. Moving Beyond the Page is a complete curriculum that is unit-study based and includes great literature to correspond to their language arts, social studies, and science packages. They also offer the choice of 3 different math programs from different publishers to round out the curriculum. Their programs are hands-on and based on exploration and discovery. The different units are based on literature and integrate various subjects and topics into one unit study. Products from Moving Beyond the Page seamlessly overlap a variety of skills into the unit studies and provide an integrated and creative learning experience. They offer products for ages 4 – 14. I received two individual units from Moving Beyond the Page. These units were geared for ages 7-9. To determine placement in this level, a student should be reading independently on a 3rd or 4th grade level. In addition, the student should be able to answer comprehension questions as well as write several sentences on a topic. The Language Arts Package – American Heroes is a unit study of famous people past and present who have shaped America’s history and culture. 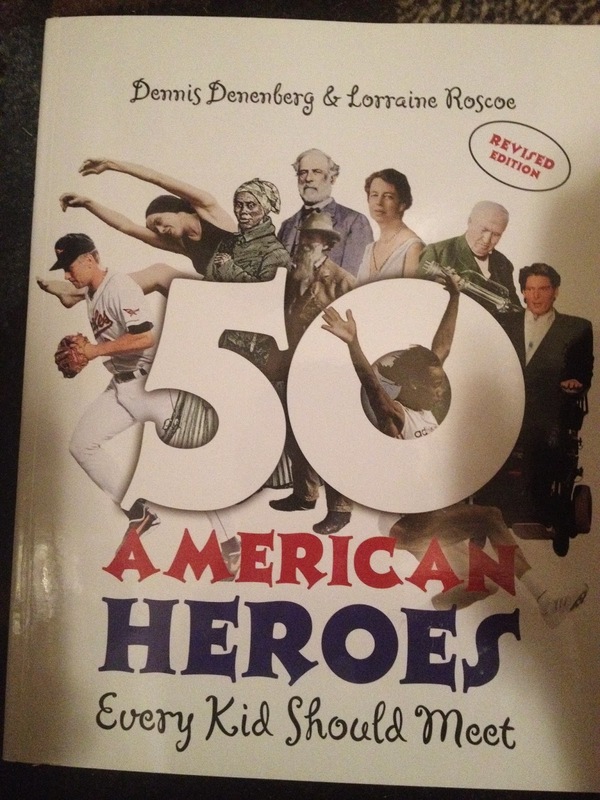 This study comes with the book 50 American Heroes Every Kid Should Meet. Throughout the study, the student reads passages from the book, answers comprehension questions, has discussions, completes writing assignments and hands on activities to enhance the lessons. You can view the summary of skills taught in this unit on their website. The Social Studies Package – People Change the World is actually designed to be completed concurrently with the American Heroes unit. Both focus on the topic of world changing people, but from the perspective of different academic disciplines. This study comes with two books, Starry Messenger and Miss Rumphius. The social studies unit focused on how to be a good citizen and two people who were good citizens – Galileo and the fictional character of Miss Rumphius. The student is challenged to view the world from the perspective of the two characters and examine how they were good citizens and how they helped to change the world through their inventions or their actions. This study contained comprehension questions, activities and projects, and discussions of historical and ethical topics. I used this product with Curly (age 8). She and I worked on the units together. We actually worked on the units one at a time instead of concurrently. We started with the People Change the World Unit and then finished with the American Heroes Unit so it would fall closer to the 4th of July. While Curly could have read the chosen literature on her own, I chose to read them with her. 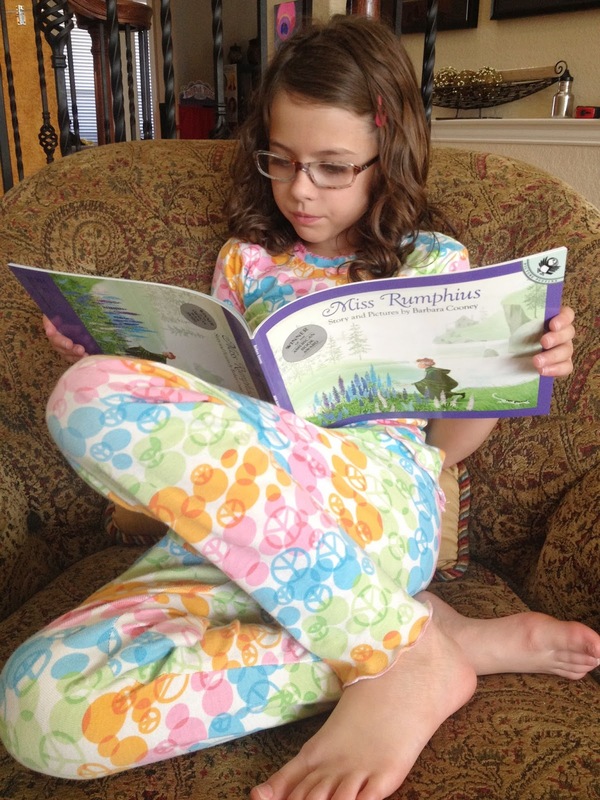 Who doesn’t love a good read aloud?? Then she read them to herself over and over. These were some good books! When we used this program, we snuggled in bean bag chairs on the floor and read through the books together. I asked her the questions and we had relaxed and insightful discussion about the topics. We also did many of the worksheets and projects. However, for some of the worksheets, I used them as a discussion tool rather than have Curly write on them. We may have been just too comfortable in our bean bag chairs to hunt down a pencil. What did a day look like? I would estimate that we spent 30 minutes to an hour during our Moving Beyond the Page time. This lesson focused on two heroes of freedom, Abraham Lincoln and Harriet Tubman.The first page of the lesson gives an overview with questions to explore, facts and definitions, skills in the lesson, materials needed, an introduction to the topic, and comprehension questions. The next page of the lesson contains the activities, projects, and assignments with links to the PDF forms to print out the worksheets or templates. The last page of the lesson contains the conclusion and wrap up. I began the lesson by asking Curly some of the questions to introduce the topic such as “How is making a change a challenging task?” Then I went over the facts section with her and we discussed the cause of the Civil War and the important role Abraham Lincoln played in history with regard to that war and the abolition of slavery. I read over the skills section and made sure we had the needed supplies which were things such as markers and a map of North America. Then I read the introduction about slavery and the Civil War to Curly before we jumped into the readings from our literature book. 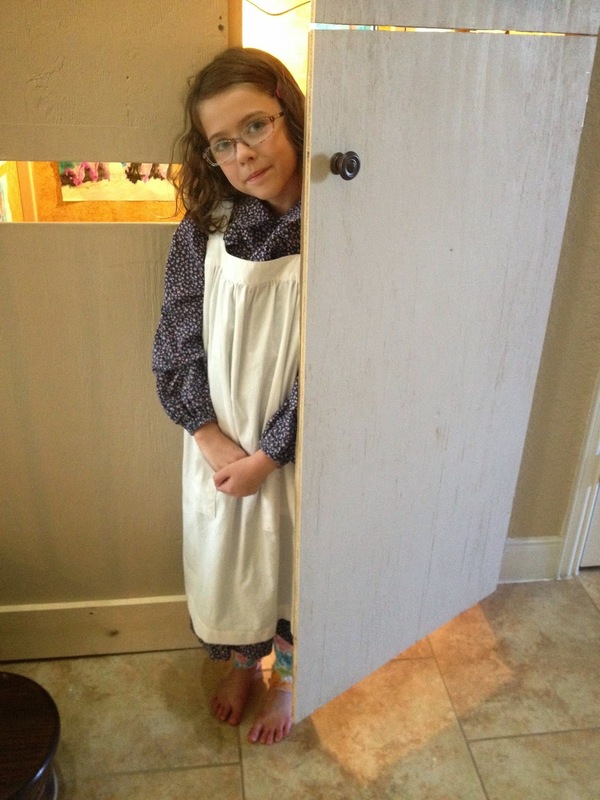 We read the sections on both Abraham Lincoln and Harriet Tubman and then I asked her the discussion questions. After our reading we looked through the activity section. Our first task was to work on our hero cards where we put the names and dates of our new historical people on the cards to form a timeline of American heroes. We read the poem about Abraham Lincoln’s childhood and I encouraged Curly to compose her own poem about a favorite memory from her childhood. The last activity was about the Underground Railroad. We read more information about how the railroad worked and how signals and signs were given to the slaves so they would know how to find safe houses. 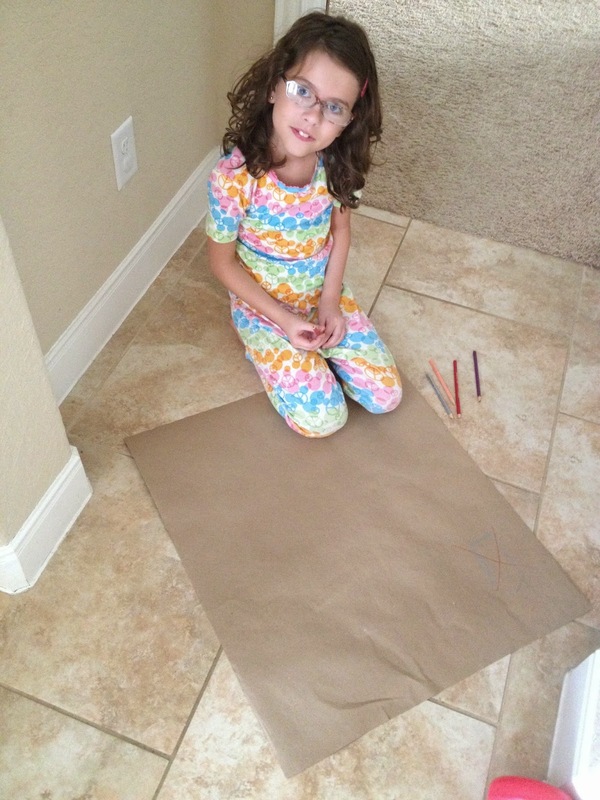 Then Curly designed her own map using symbols. Then all the kids got in on the fun and created their own “safe house” in their indoor play house where they welcomed runaway slaves. This lesson discussed how leaders have good character and what types of qualities make a person a good leader. This lesson was supposed to cover two days but we did most of the activities in just one day. I first asked Curly the questions from the Big Ideas section to gauge her understanding of the topic before we began. Then I reviewed the facts and definitions section with her. I grabbed the needed supplies – her notebook, a dictionary, and some stuffed animals. This lesson did not have reading from either of the books but instead had a fable that we read together later in the lesson. We began by doing the first activity about being a leader. For this activity Curly write down words or phrases that described the characteristics of a good leader. I helped her brainstorm. Then we discussed how many of these were the same qualities that she had chosen for people who were good citizens in a previous lesson. For the next activity I wrote down the suggested character traits – such as honesty, fairness, and integrity – in her notebook. Then we talked about times when she or a family member had exhibited those character traits. Next we read through the worksheet page that contained two short stories about times when people exhibited good character. I had her tell me which traits were shown by the people in the story. Then we moved right into the work for day 2 of this lesson. I read the fable about the Little Red Hen to Curly and then asked her the comprehension questions about why the animals would not help and if the Little Hen should have shared her bread. Curly brainstormed some ideas for how the Little Red Hen could have motivated the other animals to help her better and then she retold the story to me – her new version where the animals are convinced to help by the hen. For the last part of the lesson I had Curly act out her new story, getting her siblings to stand in and help in her little puppet show with stuffed animals. I will say that Curly worked hard to convince them to help her in the story line, but her younger siblings would not be swayed. It wasn’t the ending Curly had planned but they learned the lesson that if they did not help, the would not enjoy in the rewards of the hard work. For our Moving Beyond the Page work we kept a small 1/2 inch binder with sheets of blank copy paper and notebook paper to record all of Curly’s work. I have a difficult time with unit studies because I am not comfortable planning them myself. I appreciate ones that are put together for me. In addition, I prefer studies that are built around literature because we live to read at our house. Therefore, this program was exactly what I would want in a unit study with excellent literature selections and stimulating discussion questions. It contained the right amount of hands-on projects without being overwhelmingly crafty. I also found the worksheets to enhance the program and function as a springboard for further discussion. One of my favorite aspects of this program was the wonderful discussion that it sparked between Curly and me. The discussion questions were so thoughtful and integrated that our discussion felt very natural and we often continued on with more questions even beyond what was in the lesson. We may have gotten carried away chatting. I enjoyed the variety in the projects and the worksheets. There were only a few worksheets with each unit and it was the perfect amount for a student of this age. I found them to be very valuable and helpful – not busywork. Also, the projects were fun. One project had Curly painting a flower, another had her making a telescope, for one she put on her own puppet show, and for another she was a Disney imagineer and thought of a new cartoon character and ride for Disney World. There is a wide variety of skills introduced in the units. We discussed parts of speech, good writing, historical facts, learned how to create a timeline, and wrote poems. Curly also had to narrate facts and details about the stories to me in addition to answering the detailed comprehension questions. The program encouraged her to brainstorm ideas and write in her journal (we used a small binder for this). I was impressed with the number of skills that were taught in just these two units. The topics are woven together so well that the discussion, activities, projects, comprehension questions, and worksheets fit together seamlessly. I was so impressed with how each activity related to a previous lesson or connected two concepts. For example, we learned what it meant to be a good citizen, then learned about various character qualities, then discussed what it means to be a leader, and finished with a discussion of what qualities that leaders exhibit. All the activities reinforced the lessons and felt interconnected. I really loved the topic integration within the individual units as well as between my two corresponding units. We had the opportunity to try a printed unit as well as an online unit. The online format was very easy to use. I could navigate to the table of contents and select each lesson. Within each lesson I could select the introduction, activity section, or the conclusion. Also, there were clickable links that took me right to the printable PDF forms for all the worksheets. Everything was conveniently in one place. Despite the ease of use, I still loved the printed unit more. I loved being able to hold it in my hand as I sat in the bean bag chair with Curly. Because it is spiral bound, it lays flat and is easy to write in when Curly wanted to write on the worksheet pages. I did enjoy having everything already printed and nicely bound together. Plus, the cover is just so pretty and I’m a sucker for pretty books! Overall, we really enjoyed these units. It was a wonderful snuggle up, read, and discuss curriculum. I loved the depth of the comprehension questions and how the curriculum challenged Curly to analyze the topics and problems presented. 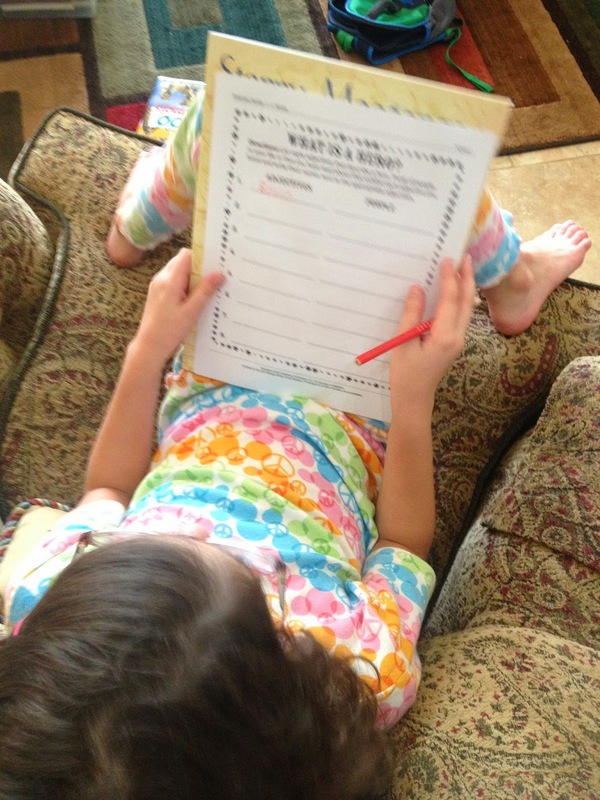 She was then asked to come up with creative solutions, write about them, do activities to reinforce the topics, or recognize these lessons in the world around her. Our time together was so relaxing and fun as we read together and I watched her make connections between the readings and assignments.